◼ AND NOW THE MUSICAL. 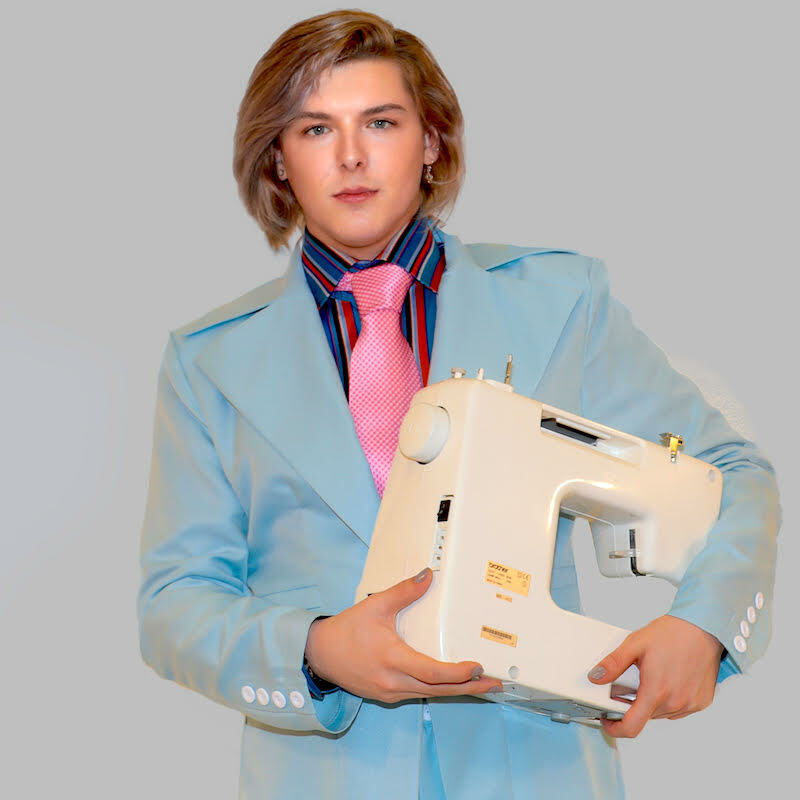 Brace yourselves for Burretti The Man Who Sewed The World, featuring a new band, The Spiders from Bletchley, and starring 40 unpaid local performers at their theatre in the Buckinghamshire town where Freddie Burretti spent his teens as a Mod. You remember: he’s the little-known whizz who designed, if not the red haircut, most of the on-and-off-stage clothes for Ziggy Stardust and is today compared to leaders of British fashion such as Westwood and McQueen. The stage musical is the dream of writer Lee Scriven who remains as infatuated with David Bowie’s early struggle for stardom as the 23-year-old Bowie himself was infatuated with the handsome 19-year-old tailor he met one Sunday in the Sombrero (aka Yours or Mine), London’s trendiest gay disco and celebrity haunt in Kensington. Remember too how Bowie had single-mindedly survived nine failed bands during ten years of struggle before Ziggy soared into orbit, and even that took three years to achieve following his first chart hit Space Oddity. 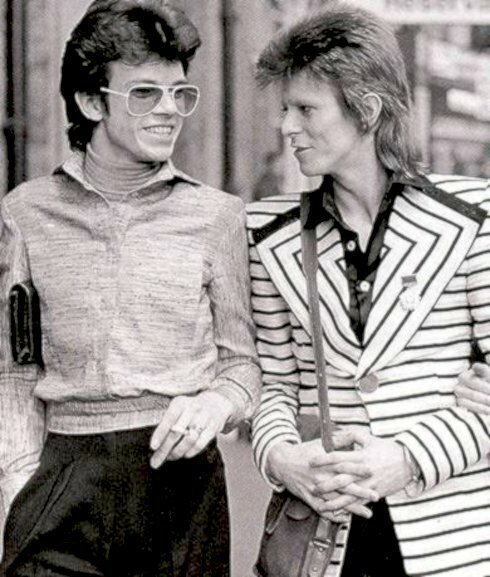 The instant chemistry between Bowie as performer and Freddie as his stylist amounted to what DB called telepathy: “because whatever I think of in my mind, he produces for real”. 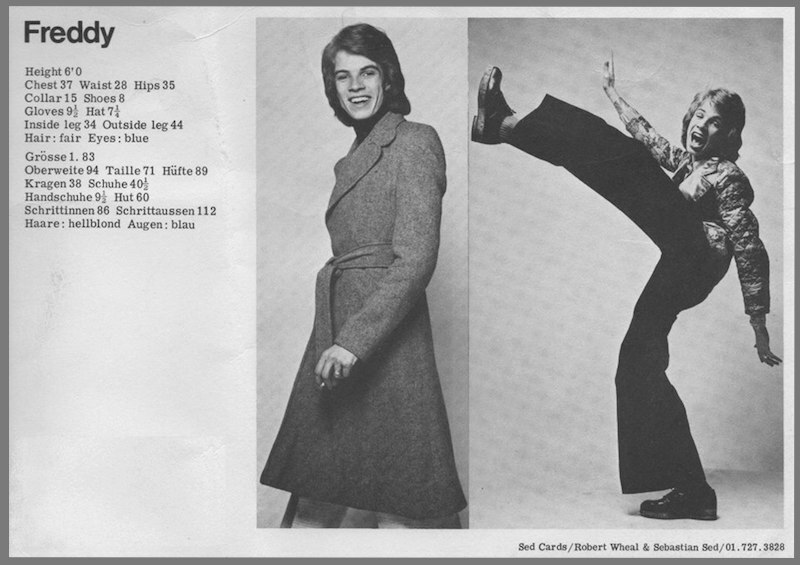 Freddie had all the flamboyance of a six-foot-tall out gay man in 1970, the first year of gay liberation in the UK. During their intimate four-year partnership, Freddie’s highly sexualised and bravura costumes were like no others in pop. 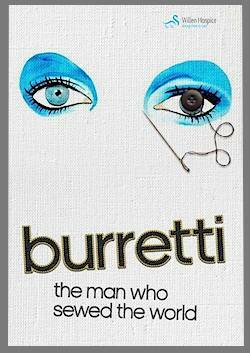 Much of this was the theme of a biographical movie directed by Scriven four years ago, titled Starman: Freddie Burretti – The Man Who Sewed The World, in which interviews with friends and colleagues pieced together the jigsaw that saw Freddie being invited by Angie Bowie to come to live with her and David at Haddon Hall. As Lee said today, despite various re-edits, potential backers “politely passed” on turning his “demo” version documentary into a feature movie and the result is this new stage musical as a community workshop production aimed at raising money for charity. “Not a West End musical, more a West Bletchley one, like another ‘demo’ version,” he said modestly. Lee has written a script that pays homage to Freddie, captures his teenage growing pains as a homosexual and his escape to London, where he meets the one-hit pop singer. Lee found himself reluctant to put words into the mouth of the future international icon he respectfully calls “Mr Bowie” so instead renamed him Bobby Jones, the only fictitious character in the show. His infatuation is such that he creates a new band in which to showcase Freddie as “the next Mick Jagger”, which proves to be a non-starter. Instead Freddie applies his genius to reinventing Bobby’s own image as a Starman who electrifies the world in 1972 when he reaches Top of the Pops clad in Freddie’s spangly one-piece jumpsuit and confirms his uniqueness as a superstar. Hardly off-stage throughout is local lad Paul J Macdonald in his first gig starring as Burretti. He proves to be an ace dancer – as indeed was Freddie himself who caught many an eye in his white Spandex hotpants on London’s first uplit dancefloor at the Sombrero.